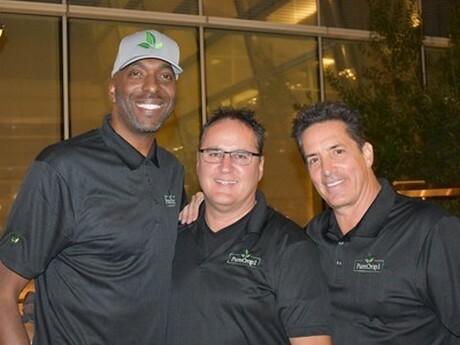 Four-time NBA Champion John Salley has joined the PureCrop1 team in an undisclosed equity position and business development program. Salley will utilize, promote and share the PureCrop1 story. "I am really happy and excited to have John part of our team," explained Ray Drysdale, Founder of PureCrop1. "John is well known, an intelligent successful business professional, and active in a healthy lifestyle. John reached out to me very early on a Saturday morning, and I was surprised on how much insight he had on our company. He will be a great fit for our business as not only will he be a spokesperson for PureCrop1, he will also use the product for his own agriculture business investments and personal use." "I have successfully invested in several early-stage companies and feel PureCrop1 is a game changer, valuable to all sizes of agriculture and can also be utilized by many companies I work with," stated Salley. "It's all about clean agriculture, and elimination of toxic products sprayed on our fruits, vegetables, plants and of course the exploding cannabis industry. From my vantage point, PureCrop1 is an elite natural product, and is poised to grow by leaps and bounds in all forms of agriculture." Salley is a vegan activist and travels around the world sharing how to eat and live healthy. Salley is also noted for speaking at Michigan's Vegfest since 2009 and appeared before the U.S. Congress to advocate for vegetarian options to be served in public schools. In December 2015, Salley encouraged U.S. First Lady Michelle Obama to go vegan "for the planet".